Chris grew up in Tulsa where he played varsity baseball and basketball at Metro Christian Academy. After high school he attended OSU and participated in many intramural activities like Ultimate Frisbee, volleyball, and basketball. He has had the opportunity to coach different sports teams in volleyball and basketball, and helped guide two separate teams to championships in the process. Chris turned to CrossFit in 2012 in order to supplement his sports endeavors, but quickly became passionate about it. He began an after school workout program with other teachers at the school he used to teach at in South Korea. In 2015, he got his Level 1 Certificate. 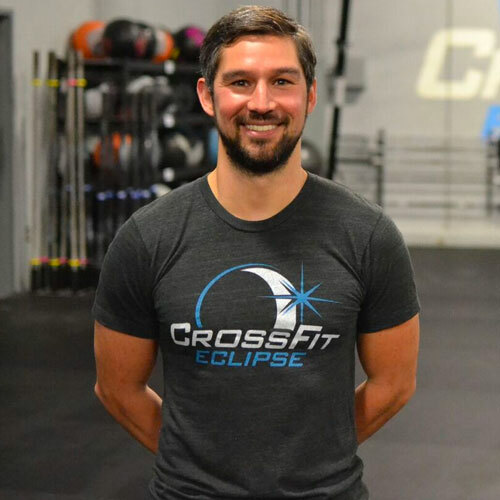 Chris enjoys the camaraderie and growth of CrossFit and he hopes to share that excitement with anyone interested.